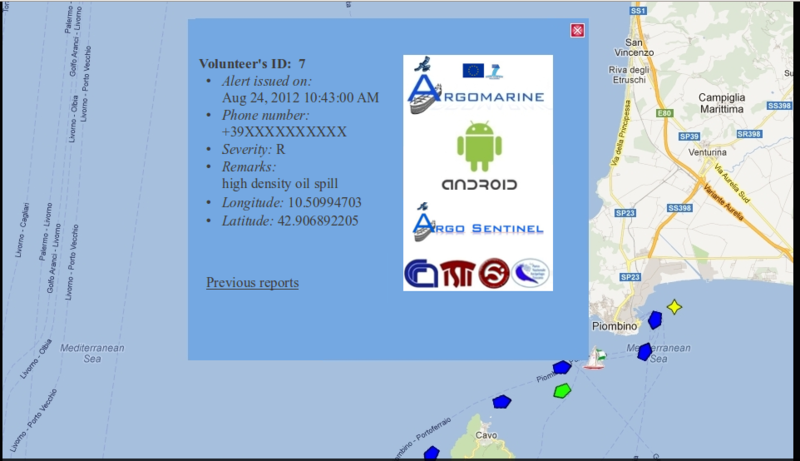 From today, anyone who sails the sea for work or passion can download from Google Play a simple mobile application to signal the presence of oil spills at sea. 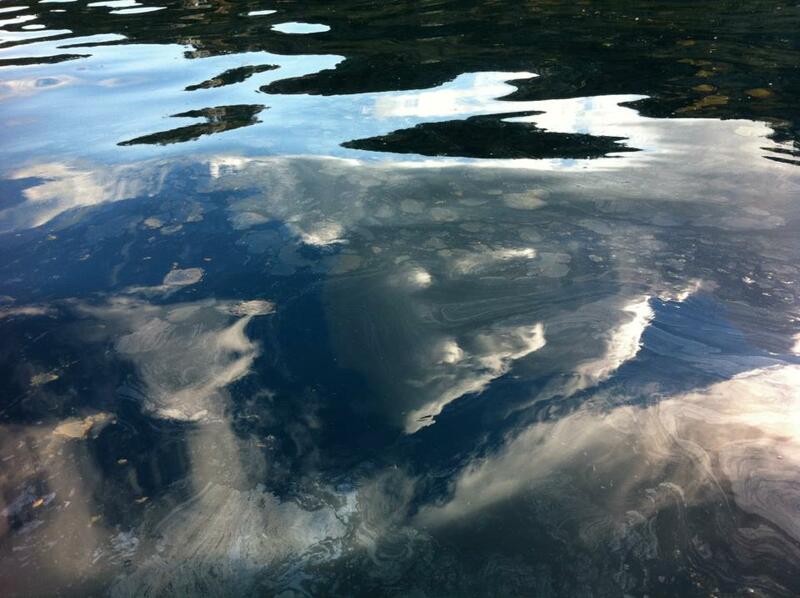 Thanks to the application developed by the Laboratory of Signals and Images (SI-LAB) Institute of Information Science and Technologies, CNR, Pisa, anyone can report suspected oily spots in the sea and become “researcher for a day” . The application provides three simple functions: 2 alarm buttons (red and yellow according to the importance of the event), a “message area” where you can describe the sighting and the peculiar conditions of the oil slick, and Latitude/Longitude to determine the exact location of the sighting. 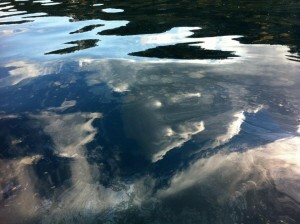 If the oil spill seems to be particularly serious the authority entrusted to the intervention can be notified. As the 100-eyes giant Argus of the Greek mythology, the ARGOMARINE project, coordinated by the Tuscan Archipelago National Park and funded by the European Union (www.argomarine.eu), has developed a network of technologies to monitor marine pollution, to control maritime traffic in protected areas and, in case of oil spills, to create predictive models for an effective intervention and reclamation. The project is carried out by the following institutions: CNR-Institute of Information Science and Technology of Pisa (Italy), the National Technical University of Athens and the National Maritime Park of Zakynthos, from Greece, the Nansen Environmental and Remote Sensing Center, Norway, the Centro de Investigação Marinha Ambiental and the University of Algarve, Portugal, the European Union Joint Research Centre and the NATO Undersea Research Center based in La Spezia (Italy). The researchers of the Signals and Images Laboratory, emphasize the importance of technological research for ecological and social aims: “We often see technological research and social needs going on parallel tracks without ever finding a meeting point. On the contrary, it’s fundamental to develop research projects in which technology and needs “talk to each other” to achieve final results useful to our society. It means using the right tools to bring together technology, research organizations and final users. And that’s what we have done with ARGO SENTINEL “. The reports, geolocated using GPS, will be sent to the Maritime Information System (MIS), the “thinking brain” of the ARGOMARINE network able to analyze data and integrate them with mathematical forecasting models. These reports will help to improve the Argomarine network and to create the first map of the health of our seas generated by its own users. The project and the contributions of the “Sea Sentinels” can be followed via Twitter (@ARGOMARINE_EU) and Facebook (www.facebook.com/ARGOMARINEproject). 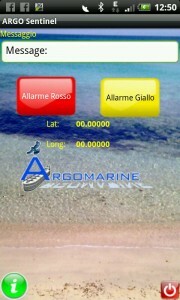 The application “ARGO SENTINEL” can be downloaded from Google Play (https://play.google.com/store/search?q=argo+sentinel&c=apps), or directly from the site www.argomarine.eu. The sea and the research are waiting for your contribution!